Fall is the most important time to fertilize cool-season grasses, such as Kentucky bluegrass, fine fescue, and perennial ryegrass. It's also a great time to fertilize warm-season grasses, such as Bermuda grass, St. Augustine grass, and zoysia grass. 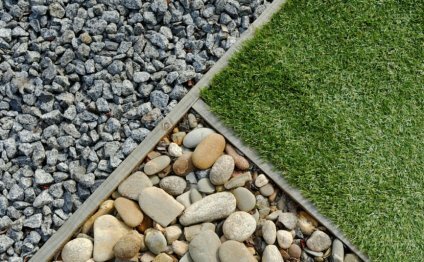 Fall fertilizing helps keep lawns vigorous and healthy where growing seasons are long and reduces the length of a dormant period during which the lawn is an unattractive brown. We recommend two applications—the first soon after Labor Day, the second around the last time you mow for the year. Choose the right fertilizer: Nitrogen is the nutrient lawns need most, and most lawn fertilizers contain plenty of it. In northern regions, where lawns become dormant, choose a quick-release ammoniacal or urea nitrogen for late fall. In southern and western areas, where lawns grow through the winter, use a controlled-release fertilizer or one that is high in water-insoluble nitrogen. Fertilizer labels include that information as well as the percentage by weight of nitrogen (N), phosphorus (P), and potassium (K), in that order. Apply either kind at the rate of 1 to 1 1/2 pounds of nitrogen per thousand square feet. A 100-pound bag of 20-0-0 fertilizer contains 20 pounds of nitrogen. See Tip of the Day: Fertilize Your Lawn This Fall for detailed information. Broadleaf weeds, such as dandelions, broadleaf plantain, and ground ivy, can be pulled out by hand anytime. But autumn is when they're most vulnerable to weed killers. For most lawns: If there are too many weeds to deal with by hand, use selective herbicides to control large infestations. Selective herbicides should contain two or more of the following ingredients: 2, 4-D, MCPP, MCPA, dicamba, carfentrazone, and triclopyr. Those kill most broadleaf weeds without damaging desirable lawn grasses, but check the label; some can damage warm-season grasses. Selective herbicides are available as ready-to-use sprays, concentrated liquids, and dry granules (usually combined with fertilizer). Caution: Selective herbicides are potentially dangerous to nearby plants as well as to humans and animals, so follow label directions carefully. For warm-season grasses: If your lawn includes grasses such as Bermuda grass, buffalo grass, and zoysia grass, use a nonselective herbicide. Wait until the lawn is completely dormant—when it's brown and appears dead; if you don't the herbicide could kill the grass. Do it every week or so until grass has stopped growing. For lawns under or near deciduous trees, using your mower's mulching mode—in which discharge chutes are closed off so that the grass and leaves can be chopped more finely—also allows leaves to decompose on your lawn without being smothering Most newer rotary mowers and lawn tractors have a mulching mode. If yours doesn't, remove leaves by raking them up for bagging or composting. Fall and winter are also good times to lay seed so that your lawn gets a head start in the spring. Where winters are cold: In northern states, where soil freezes, it's already too late to seed for fall germination. Instead, wait until the soil thaws to sow seed; it will lie dormant until spring. Cover the seeds lightly with straw or mulch to protect them from feeding birds. This works best on level ground, since sloped ground can allow the seeds to wash away before they can germinate. Dethatching involves pulling vertically oriented tines through the turf; aerating involves extracting small cores of soil. Both reduce thatch, a layer of dead grass stems and roots (not clippings) that build up faster than they can decompose, accumulating on top of the soil layer and reducing water penetration to the roots. When to dethatch or aerate: For cooler areas, do either if there's at least another month before the first frost. By mid-October, it's too late in the northern states, but just the right time for lawns in the upper South (or "transition zone"). Caution: Dethatching can damage warm-season grasses, such as St. Austine grass and centipede grass, that spread via surface runners. What to use: Hand dethatchers, also called cavex rakes, and foot-powered aerators are suitable for small lawns. Well-stocked nurseries typically offer both. Powered dethatching machines include power rakes and vertical mowers you can rent (about $60 per day). The blades aren't firmly attached on power rakes and usually are on vertical mowers. Loosely attached tines are safer, since they can bounce off rocks, sprinkler heads, and stepping-stones without breaking off. Powered aerators have either curved steel coring tubes mounted on a drum or straight coring tubes on a shaft that pushes them vertically into the soil. As with powered dethatching machines, you can rent aerators for about $60 per day. A soil test is the only way to determine the pH and nutrient needs of your lawn. Spread ground-up or dolomitic limestone (granular is easiest to handle) or soil sulfur if the results of a soil test indicate one or the other is needed. Getting a soil test: Check the Yellow Pages under "Soil Testing Services" or "Soil Analysis & Testing Laboratories." They are usually private laboratories. Or check with your nearest university cooperative extension office. Many garden centers also offer soil testing. Expect to pay less than $10 to determine pH only. If rains have been spare recently, apply plenty of water, even if temperatures are cool. Lawns that enter winter stressed from drought are likelier to be damaged by cold weather and emerge weaker in the spring. Watering is especially important in mountainous western regions of the U.S., where dry falls are typically followed by cold winters.